How to showcase high quality fabrics and furniture? How to provide sensorial experiences and visual effect online? All of this available on varied devices, multi language and always up to date. 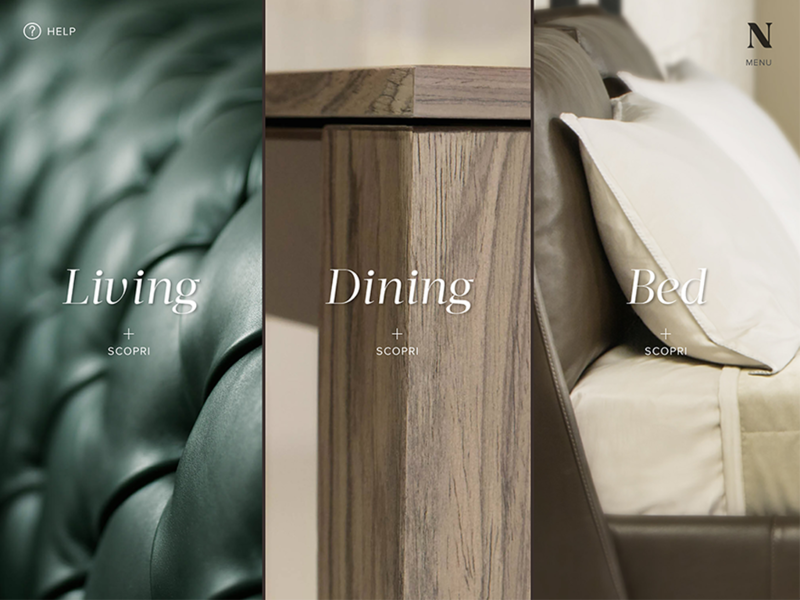 Natuzzi Italia is an Italian furniture company specialising in sofas, armchairs and living room accessories. The “made in Italy” brand is today present in over 123 countries. 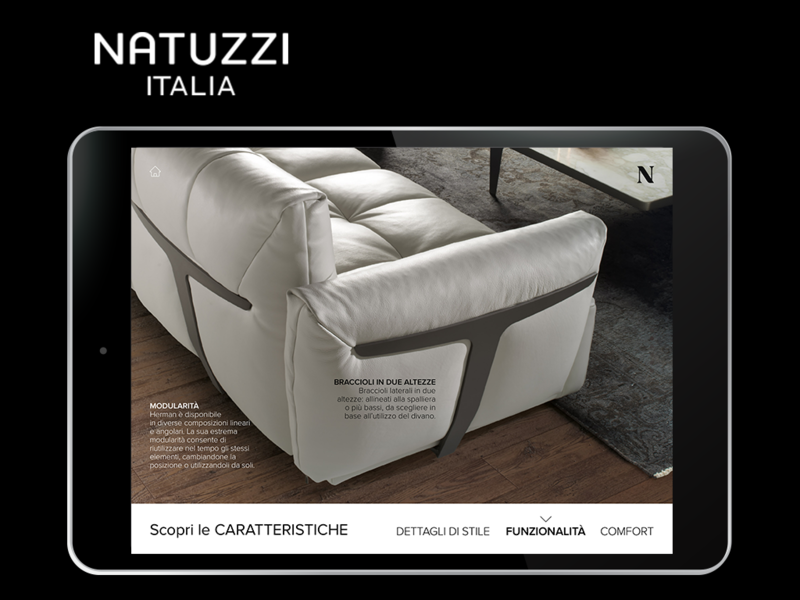 They needed to highlight the distinctive characteristics of Natuzzi’s products at the same time supporting sales teams equipped with tablets. 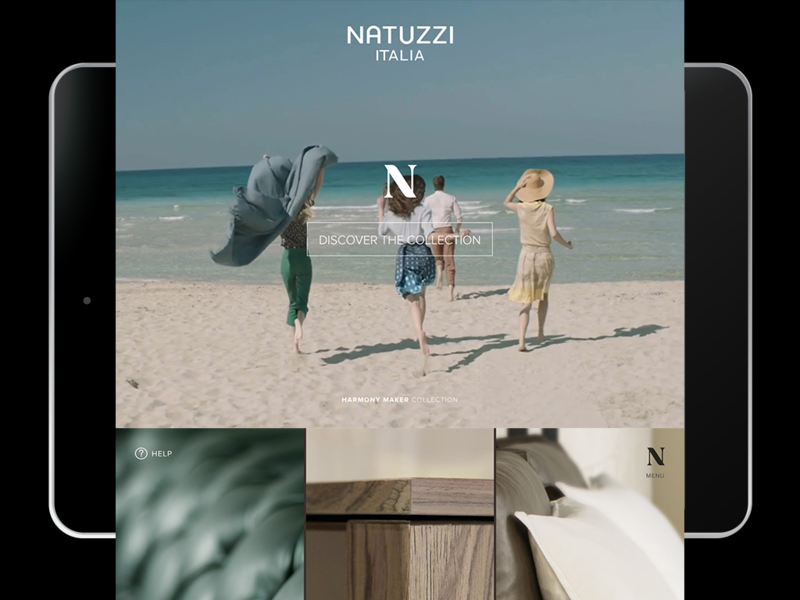 Working with Aquafadas partners, Natuzzi created an app containing a digital brochure, an interactive evolution of their classic printed catalogue. 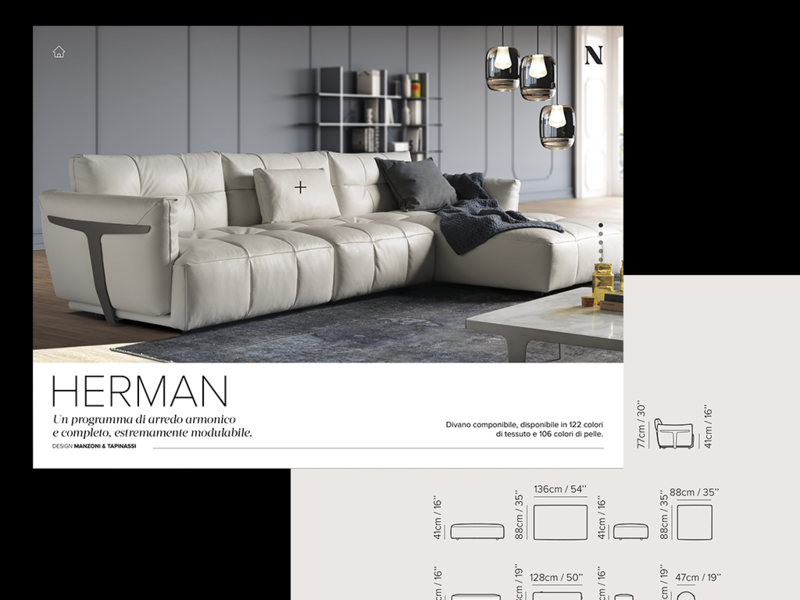 Through images, videos and interactive content it provides an immersion in Italian Natuzzi collection and a trip through the Natuzzi Group values. It’s available in Italian with 14 more language versions available soon.